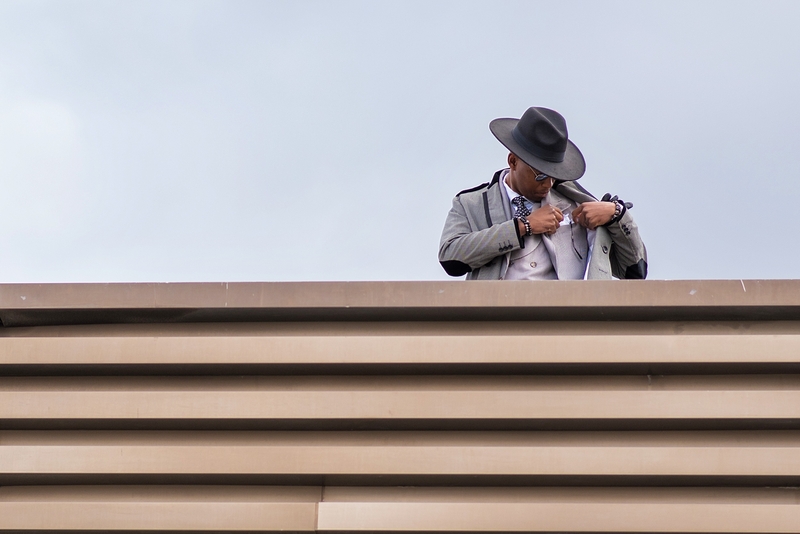 THESuitableMan, Brian Lehang’s story began at Retlile Primary School in Soweto, when he and a group of friends decided to dress like gentlemen to impress their peers and teachers. “We used to be naughty boys at school and just before graduating we realised that we needed to do something that would get our names into the school’s good books,” he explains. Dressed in black trousers, khaki shirts and ties – Lehang’s tweed was borrowed from his uncle – the effort earned the group a spot in the principal’s good books. “I suggested that we wear ties with our uniforms so we would look more like gentlemen than naughty boys. Mine had sentimental value as my uncle had inherited it from his father. Even before we got to school, people at the bus stop were already giving us strange looks. “That day the principal gave us a smile for the first time,” he says. 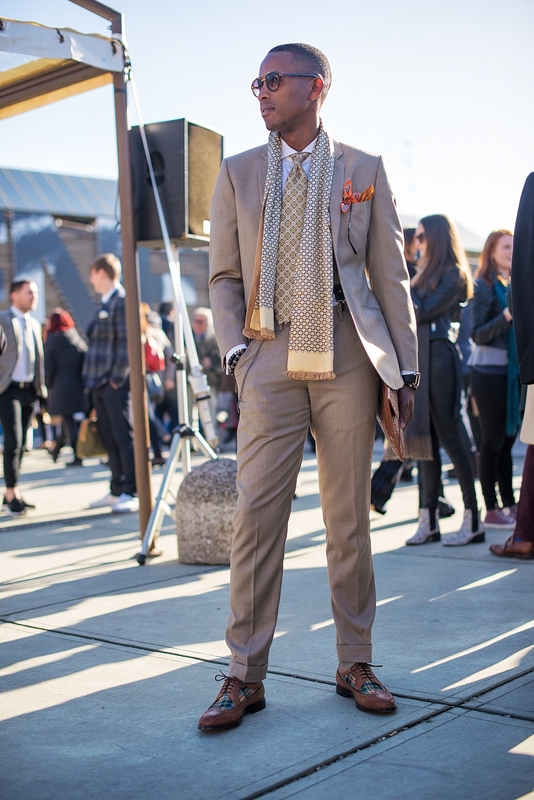 I first noticed Lehang at the inaugural SA Menswear Week (SAMW) last year. He was dressed in a classic “five-piece suit” – a pants, jacket, waistcoat that also included a shirt and tie (or bowtie). Dressing up for a fashion week is not uncommon as most people are there to be seen and show off their outfits. However, wearing a suit these days without good reason, such as to a wedding or a black-tie event, is rare, unlike the early to mid-20th century, when the suit was an acceptable look for day and night. Lehang’s sartorial look – complete with a matching pocket square, hat and clutch bag – therefore raises as many eyebrows as it draws stares. Introducing himself as a professional golf player, Lehang says his journey to becoming The SuitableMan was established on the golf course. After trying a number of sports at high school, including running, swimming and soccer, he fell in love with golf after seeing a neighbour practise the sport in a backyard. “I immediately thought: ‘This is the sport for me’. I was drawn to its uniqueness at the time… no black kid in Soweto played the sport. I started playing with my neighbour after school and I did everything to learn about the game, from reading about the sport to visiting golf courses,” says Lehang. 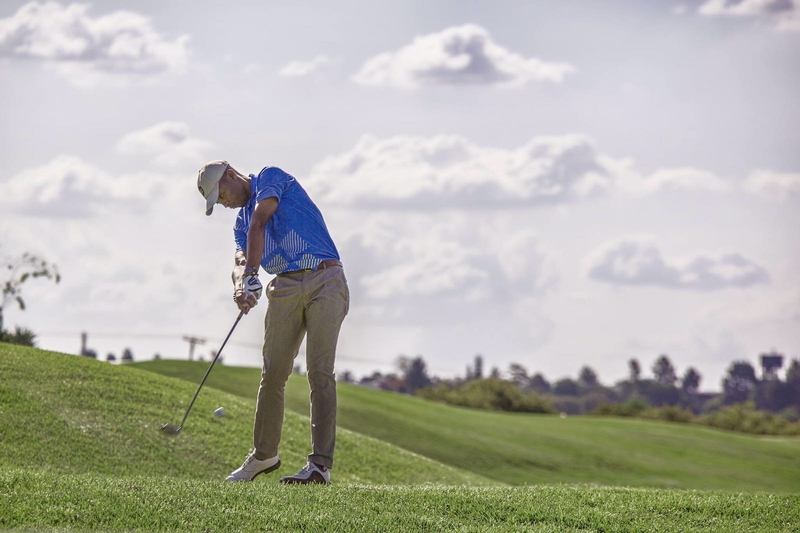 “Playing golf is expensive so in Grade 10 I started working at a golf club in Roodepoort as a caddy in return for golf gear, equipment and a place to play. “A new era began. I gave away all my denim jeans as I only wore formal pants or chinos and golf shirts to work. I became popular in my community… people were curious about the young boy catching a taxi with a golf bag. Growing up in a female-dominated home, Lehang’s only source of style inspiration came from magazines and books, and from studying what golf pros such as Tiger Woods wore on and off the course. “There was no father figure to show me how to wear a tie,” he says. Lehang says fashion and golf are interconnected. “I fell in love with fashion as much as I fell in love with golf, to a point where I started looking at how men used to wear suits in the old days. “I have spoken to old men who used to live in Sophiatown and Meadowlands, and they told me fascinating stories of how they only wore suits on pay day. 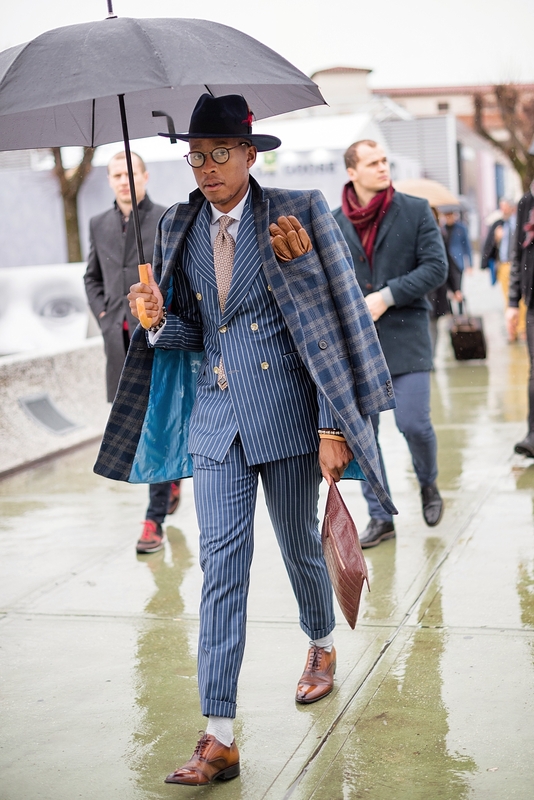 “I fell in love with suits and started buying them at jumble sales. “A neighbour would alter them to make them the perfect fit,” he explains. Now fashion has become a serious business for him. Not only is he a permanent feature on the fashion scene, but he has made it his goal to visit the world’s top fashion capitals, such as Paris and New York to learn from the masters. 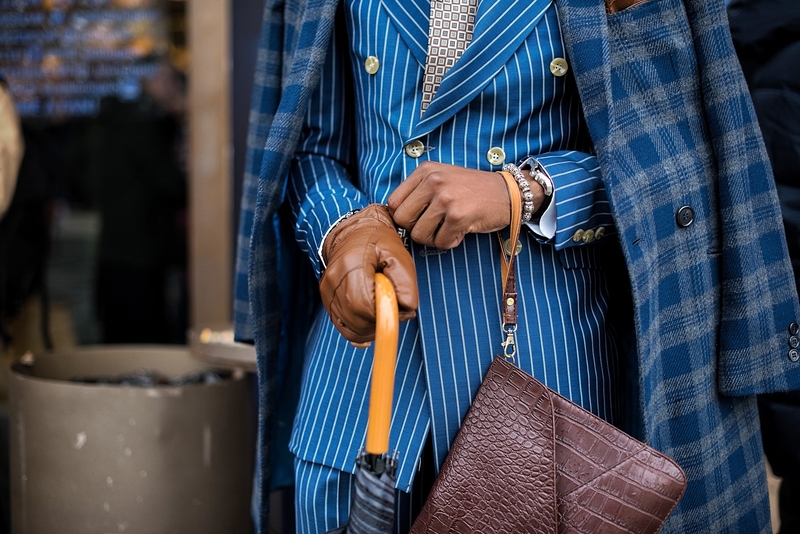 At the recent biannual menswear trade show, Pitti Uomo in Florence, Italy,Lehang was among the most photographed people there. “I felt like I was at home in Florence. People were not looking at me with raised eyebrows, like they sometimes do here. “As much as they say that fashion is unrestricted there is certain etiquette that a gentleman has to know when it comes to suits. “Such as if you are wearing braces or suspenders you can’t put a belt on as the braces were meant to hold up the trousers. “Or when you are wearing a slim fit tie, you wear it with a slim fit tie clip for it to look more proper. There are also rules on how you wear your hat. “I believe in being a traditionalist when it comes to suits… keeping it sartorial all the time,” Lehang says. 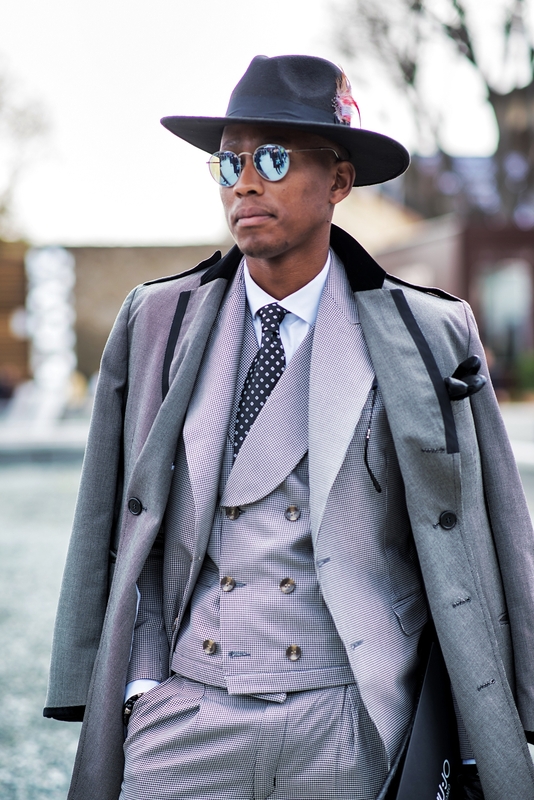 ●Buy a suit off the rack and have it tailored to fit. your time and compare prices and quality. so don’t shy away from asking for information even if you’re not planning to buy at the time. This feature was first published in the Cape Argus on March 31 2016.